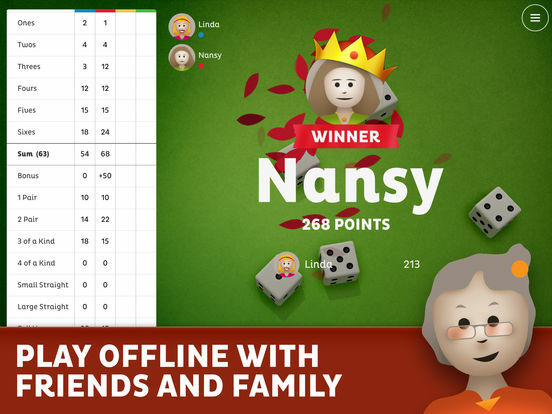 Play Yatzy online with random players or with family and friends. 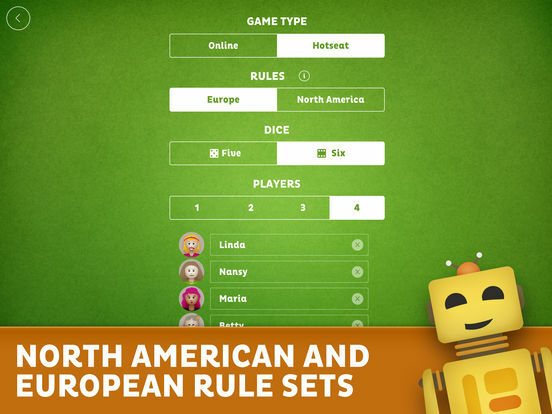 Supports both North American and European rule sets, as well as 5 or 6 dice. 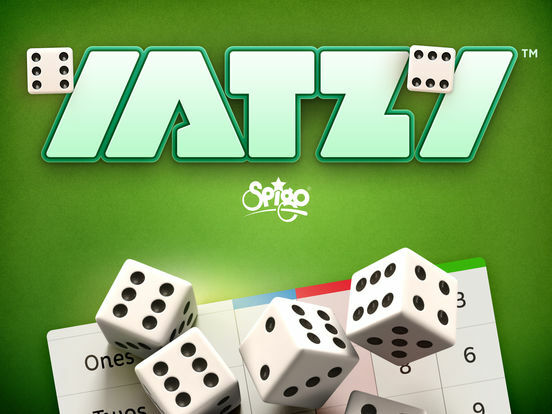 Yatzy allows up to 4 players online and offline, and includes bots to play against AI. 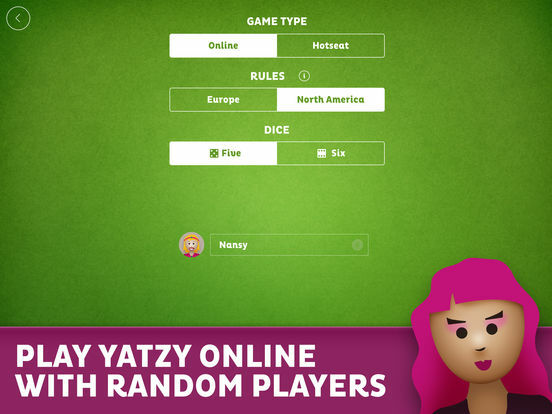 Join the fun online by playing random players and show you are the best at Yatzy! 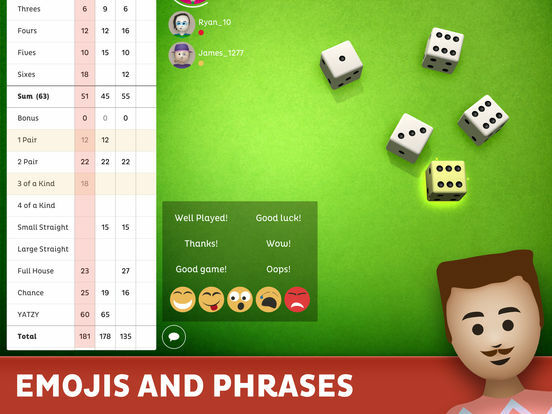 Interact with other players in-game with fun emojis and phrases to add excitement to the game! We hope you enjoy it as much as we do! This release brings bug fixes that improve our product to help you enjoy the world's most famous dice game. We have listened to your feedback, and have implement a High Scores feature! Seeing your name next to some killer scores, comparing against your friends and viewing the global high score charts - we think we have a good chance of coming out on top, do you? Playing against robots or random online players is great, but there is nothing sweeter than a victory against your friends! 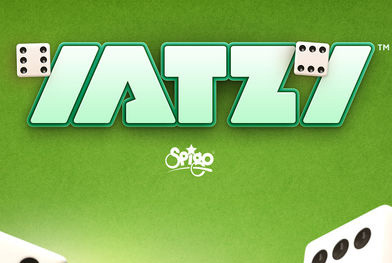 That's why we created a new Play Against Friends feature for Yatzy! 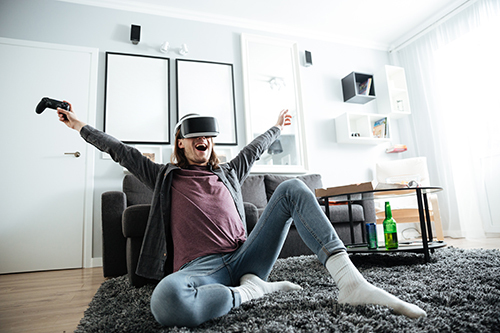 We even worked out how to manage this - using a pre-defined keyword between you and your friends, simply search for a game using your keyword at the same time and you will enter into a game together. Just try not to be too cocky and make the keyword "iwinagain" - you might jinx it and end up last! Why can't I play against robots anymore? You can! It is still possible to play against robots in Yatzy - in fact, the robots are waiting patiently to show you who the real champion is! Finding them is super easy. When selecting game options, choose the Hotseat mode, and tap on the second, third or fourth player images (because you are always number one!) and you can take on the mighty R3-D3, Chip and Beta robots! Can I invite my friends to an online game? Yes you can! Simply search for a game using your secret word at the same time and you will enter into a game together. Just try not to be too cocky and make the keyword "iwinagain" - you might jinx it and end up last! Why didn't you update the old Yatzy, rather than making a new version? Honestly, we wanted to!! But Apple denied us to release the new version as a new stand alone app, claiming this violated their 4.3 Design Spam policy... Also, due to technical issues we were very limited with what we could do with the old version, and had to take the tough decision to build Yatzy on a new technology. 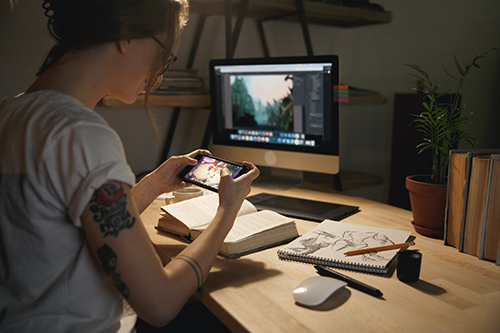 We feel this is the best decision in the long run, allowing us greater flexibility with the game, enabling swifter and more exciting updates, and the ability to better respond to feedback and requests from the Yatzy community.